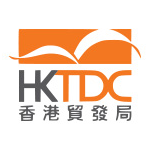 "The World's Prime Marketplace For Diamonds, Gems & Pearls"
The sixth Hong Kong International Diamond, Gem and Pearl Show, organised by the Hong Kong Trade Development Council (HKTDC), will be held from 26th February to 2nd March at the AsiaWorld-Expo, Hong Kong. This year’s Show will welcome over 1,990 international exhibitors to showcase an assortment of jewellery raw materials including exquisite diamonds, precious and semi-precious stones as well as pearls to international buyers. Good experience. Hope you maintain it more! Exhibitors includes Diamonds, Pearls, Precious Stones, Semi-Precious Stones and jewelery items. The Cove Hostel - Tong Fuk Sea ..